The Vox Continental 73 provides players with the essence of the original Vox Continental transistor organ, which became a timeless classic since its appearance in the 1960s. This new keyboard carries that concept into the present, featuring a simple, yet intuitive interface that provides players with quick access to every function the keyboard offers. 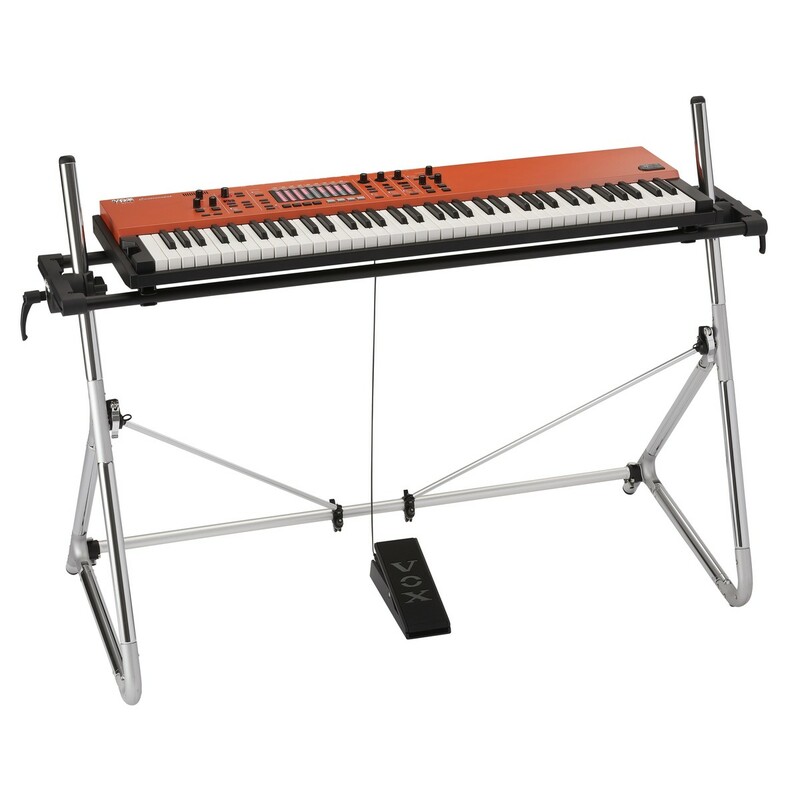 Designed with a high-quality sound engine to offer organs, electric pianos, acoustic pianos, and other stage ready sounds, along with a powerful effects section to enhance its sound, it delivers incredible performances. Another powerful feature of the Continental is the analog valve drive, which is powered by the cutting-edge Nutube vacuum tube, offering an incredibly versatile range of sounds perfect for live performances. Even with its modern features, powerful performance, and stylish design, the Vox Continental 73 Key Keyboard still has an air of tradition and redefines the modern stage keyboard. The Vox Continental 73 is designed with 1GB of high-capacity memory, offering 150 built-in programs powered by a high-quality PCM sound engine and a sophisticated vintage sound modelling engine. 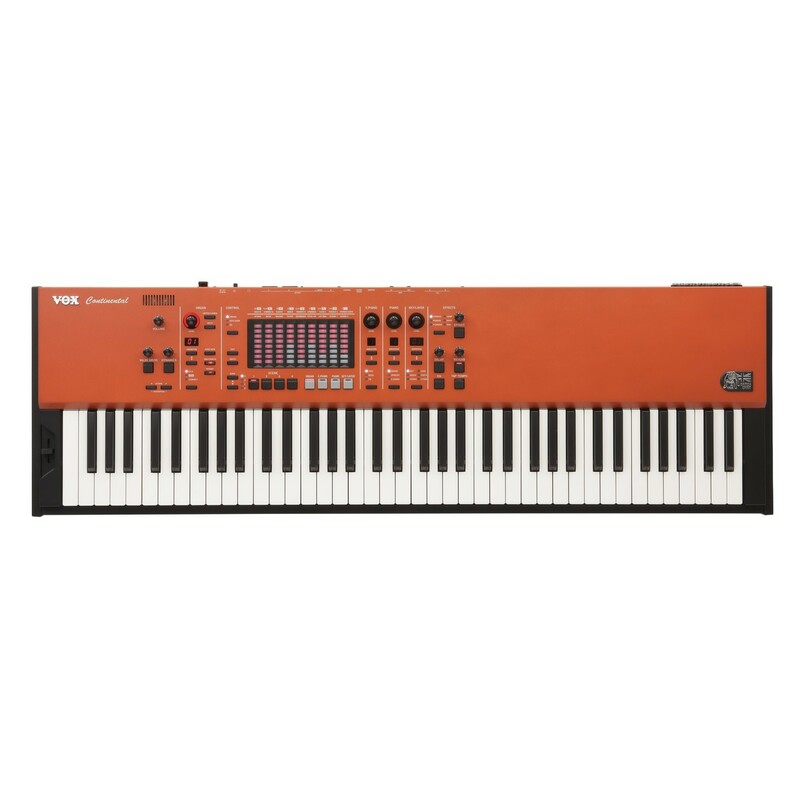 To ensure players have quick and easy access to the wide variety of sounds, the keyboard features 4 parts with an effects section for incredible tone optimised for live performances. The main part of the Continental is its organ section, featuring a vox transistor organ sound engine which reproduces the stunning sound of the original Vox Continental. The other two types of organs offer a replicated sound of another compact transistor form the 60s, and the Compact's faithful model of Korg's classic combo organ. The compact is also equipped with a multi-tone booster to create sweet, mellow tones with a distinctive sharp sound. The Continental also features electric pianos, acoustic pianos, and key/layer tones as well, ranging from resonating grand pianos, iconic electric pianos of the 80s, a variety of rich, practical sounds, the unique depth of an upright piano, the sound of vintage electric pianos striking a vibrating reed, and even the sounds produced from striking a metal bar. If that wasn’t enough, the keyboard also features a powerful effects section optimised for live performances, allowing you to add chorus, phaser, flanger, compression, drive, wah, delay, reverb, and EQ to your sound. 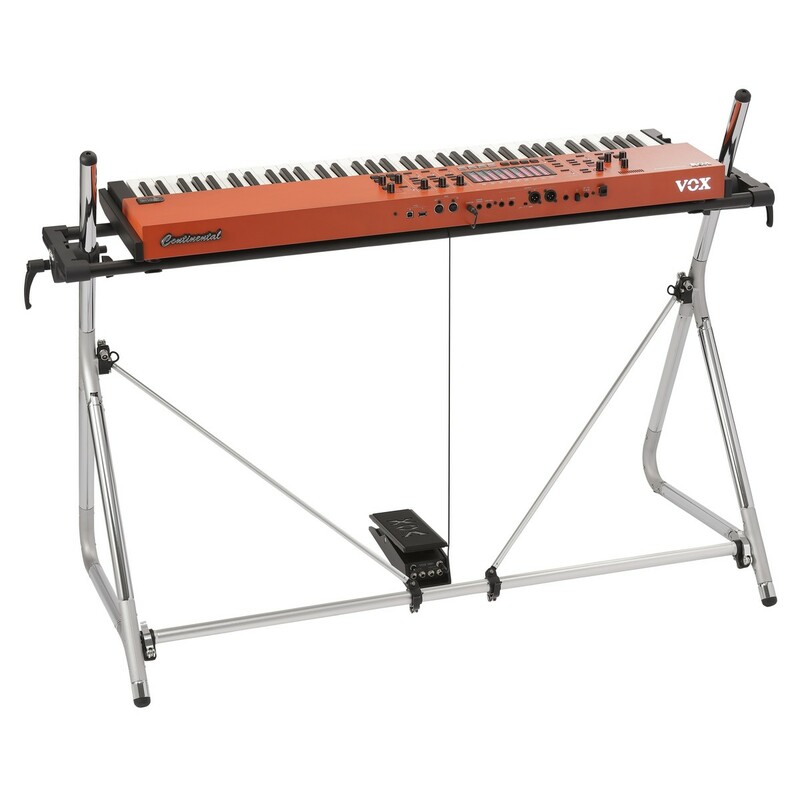 Along with its incredible tonal capabilities, the Vox Keyboard’s control layout allows players to dial in the perfect sound and performance with ease. Freely customise the keyboard's playing style with the dynamics mod, which controls the keyboard's playing dynamics and how they affect the volume and sound. Use this control to set the Continental’s dynamics from a wide range of expressions to a consistent sound regardless of playing dynamics. The keyboard is also equipped with the revolutionary touch sensors, offering a variety of parameters which shift functions according to the situation. In organ mode, the controls function as touch drawbars which can be controlled directly with your fingertips. In key/layer mode, the controls function as sliders to adjust its parameters, and turning the EQ on changes their function to a nine-band graphic master EQ. 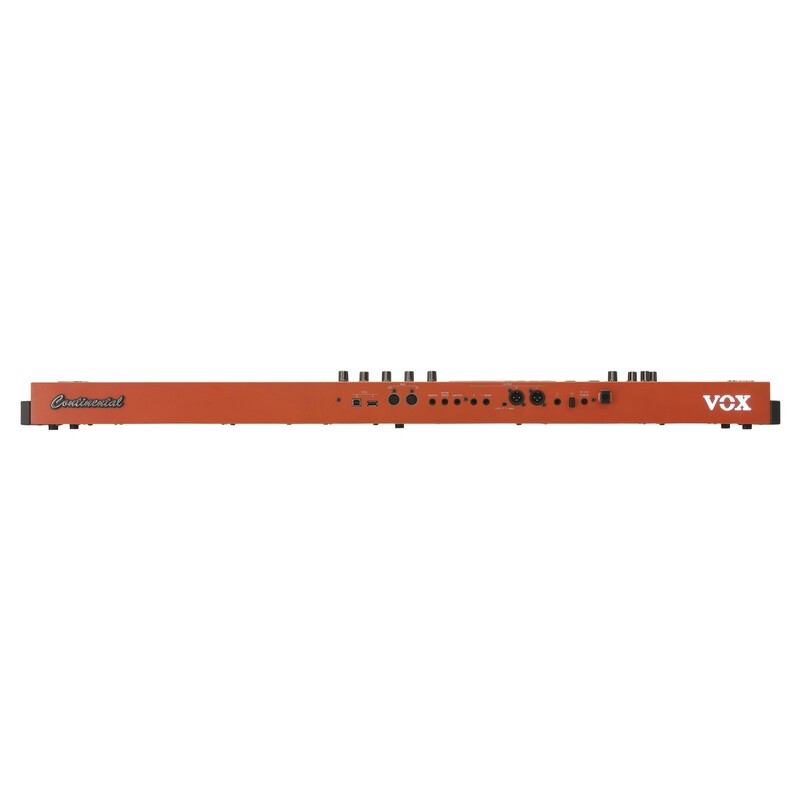 The Vox also features a bend lever to freely control the speed of the keyboard’s rotary speaker simulator, tremolo, or pitch bend. The Nutube is a special type of vacuum tube developed by Korg, offering the same stunning presence and warmth of vintage vacuum tubes without the issues. The Nutube is the perfect way to power valve drive sounds, smooth distortions, and dense, fat sounds which cannot be obtained through modelling. This results in incredibly authentic valve tones which can be intuitively controlled by a dedicated switch and knob, even while you play for a seamless performance. Not only does it offer incredible sound, but the light emitted by the Nutube circuit also adds a stunning visual effect to the keyboard. The Vox Continental is designed to ensure players have instant access to all the functions on the front panel. Its intuitive panel layout splits each section up, allowing players to quickly dial in the perfect tone and switch each part between on, off, and layer states. The keyboard is also equipped with scene memories to ensure you favourite programs and effects settings can be recalled within a moment’s notice. 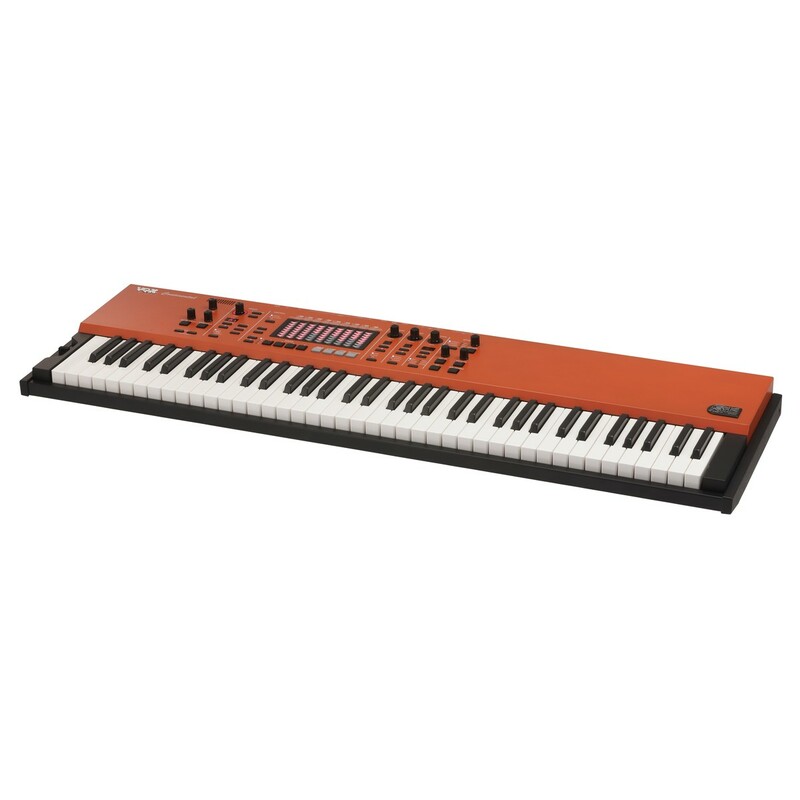 Its semi-weighted waterfall keyboard also enhances your performance, allowing distinct organ techniques like glissandi and trills to be performed, and is also suitable for performances with electric as well as acoustic pianos. The Continental also comes with a stand and pedal to provide everything you need to start performing.